K.J. Filtration Technologies has substantial manufacturing capacity: 100 tons per month for Monolith triboelectric electrostatic media, and 30 tons per month for Aerolace activated carbon media. The structure of our media can be customized to your requirements for permeability, and pleatability. We also have extensive lamination and other converting capabilities. As a leading manufacturer of chemical filtration media, K.J. Filtration Technologies provides comprehensive technical support for filter manufacturers and equipment OEMs worldwide. For air filtration media, we provide testing and documentation relative to alternative basis weight and filtration efficiency/performance levels. 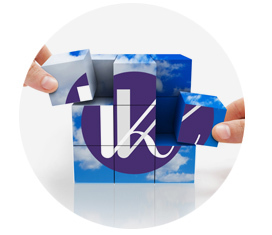 We often develop custom, proprietary products to fit specific metrics and markets. In addition to media development, we can provide fully assembled and branded filters for chemical filtration applications. 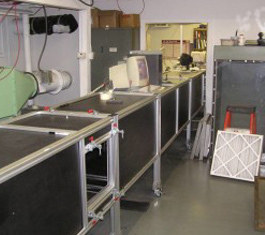 For applications involving odors and gases, our advanced lab provides testing for absorption capacity and service life projections for activated carbon medias. We also assist with media and filter development for specific applications. Multiple-function media is a core specialty for us. Chemical filtration media that also provides the construction and performance advantage of tribo-media is an important, illustrative example. We look forward to the opportunity to custom design and manufacture the media, or filter, to meet your specifications.